Note: This is Part 3 of 5 in the Most Commonly Asked Questions series. Make sure you check out all 5 parts. Attempting to tame clutter can feel like an overwhelming task. There have been times when I've spent hours trying to clean up… I work and work and work, but somehow it doesn't feel like I am getting anywhere. When clutter persists and you just can't seem to get a handle on it, it's usually because there is an emotional issue underlying your resistance to cleaning up. This week I share with you a simple process that you can do to start getting rid of your clutter. 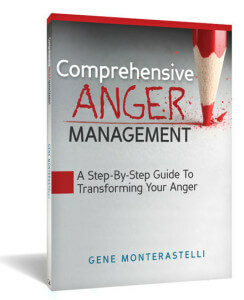 The process will help you to uncover the underlying emotional resistance AND it will show you how to tap to resolve it. PLEASE NOTE: Below is a slightly edited transcript of the audio. I speak in a more casual way than I write, so the following might be a little less precise than some of my other writings. 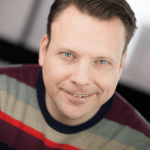 Even though this is far from perfect, many people prefer a written version over the audios and this is the easiest way for you to get the same content in written form. Today, we are going to talk about the best way to tap for the clutter in your life. It's really interesting that when we're dealing with clutter, it feels like it is a systemic problem. "I am just not organized enough, and therefore everything in my space is cluttered." But often times, there are some emotional components to that clutter. We might be afraid of the information hidden inside of the clutter. For example, a pile of unopened mail might make you fear that, "If I go through that pile of mail, then I have to confront all of the bills I have to pay." Or "there is a pile of stuff from something that we were trying to achieve at some point in our life and we stopped doing it. Sifting through the details and the pieces of that thing will make it difficult for us because we have to admit the fact that we failed. Sometimes our clutter just provides us with an amazing sense of protection. "If everything is a mess, then I don't have to be productive, and sometimes being productive and being successful is actually scary, and that feels dangerous." The clutter becomes an insulation and a way of keeping us safe. Because that is the case, it can be difficult for us to see a clear starting point to cleaning up because the clutter itself doesn't have a giant sign on top of it saying why it is sticking around. This is the really simple process that I use to tap for clutter. I find it super effective to do the process with pen and paper in hand. First, we're going to answer some questions and based on the answers to these questions, they will become the genesis for the tapping script we're going to use. As a side note before we jump into this, I find it really important to break clutter down into smaller parts. It's really easy to look at your living room, your kitchen, your office, your entire house and say, "It's cluttered, and I need to tap for clutter." That might be true, but by trying to tap for all of the clutter at once, it is too generalized for us to be able to uncover the emotional issues behind it. The clutter that is scattered throughout your office or scattered throughout your entire house might be associated and have the same emotional root cause underneath of it. If this is the case, when we clear it for one pile, we're clearing it for all of them. making it easier for us to uncover the root causes of the underlying emotion. First, choose a piece of the clutter you want to work on. Again, be really specific about this. Let's say we're going to do the pile of mail on our desk. 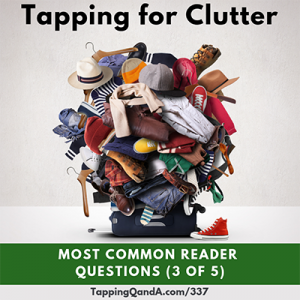 Second, we're going to answer some questions about that clutter, but our intellectual mind isn't always the best tool for figuring out what is going on. So, you're going to pretend that your pile of clutter is alive! If you're a child of the '80s like me, you might remember the enormous trash heap in Fraggle Rock. From time to time the main character would go out and talk to the trash heap. The trash heap was actually a giant talking puppet with a huge face. So, that's the image that I see: a big pile of stuff, and I imagine it has a face on the front of it. Once we have personified the trash, the clutter, the pile, the whatever it is, we are then going to ask it three questions. I know this sounds and feels really weird to be asking a pile of stuff on our desk questions, but what we're doing in this process is disassociating our intellectual self, which can get in the way. By personifying the pile, we're giving our subconscious a vehicle to communicate with us. It's not the pile that is speaking to us, but the underlying root cause in our subconscious that we're giving the pile the opportunity to be the tool to bring that out. 1) What would go wrong if I cleaned up this pile? With as much detail as you can muster, imagine the pile speaking to you and telling you everything that would go wrong if you cleaned up the pile. The answers that are going to come here will often fall into one of two categories. Either it's going to be the most obvious thing in the world like, "Yeah. I really need to tap for that," OR it will show up as something that completely comes out of left field, and will be a big surprise. 2) What does the pile need? By asking a general question, we're giving the subconscious mind the opportunity to give us as much information as it can. Just keep writing and sit patiently with that question for a few moments and don't feel like, "Oh, there's a pause. I need to move on," but stick with it for a little bit. 3) What would be gained if the pile was cleared? Again, come up with as much information as you possibly can. 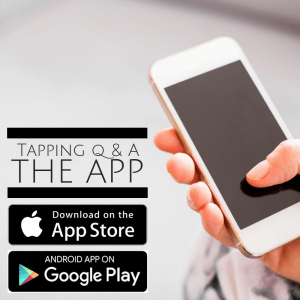 After taking a few moments to answer these questions you now have the starting point for a really amazing tapping script. The first time through, just read everything that is on the page, saying it out loud, and tap along to it. On the first round of tapping, as new information and new ideas come up, add them immediately to the paper. Tap through that you have written a second time. Start at the top. Read through it. Pay attention to what comes to mind. Make some notes. Keep tapping. If you are doing this and an old memory pops up, you now have something that might be perfect for the movie technique. The process is straightforward. You talk to the pile. You write down the information. You tap on it. Then try to clean the pile up. Organize it. Straighten it out. Throw things away. What you will notice is that some or all of the resistance has been reduced, and because the resistance is reduced, it makes it easier for you to do some of the work. The process itself won't take care of all of the clutter in your life in one sitting. Instead, this process will help you to keep peeling away resistance, and you will keep cleaning. I find that doing decluttering and cleaning of a space often works best, particularly if we're talking about a space that hasn't been touched in months, if we continue to do this sort of tapping over time and we do this sort of cleaning over time. When you sit down to do something like this, the goal is not to eliminate the clutter. The goal is to reduce the clutter. When the clutter is reduced, we have more space. Our space is more organized. We feel more comfortable in it, and that means we will be more productive. Even though we didn't take care of everything, we've taken care of enough to be able to move forward, and then you have the opportunity to come back to it again tomorrow to make more progress.